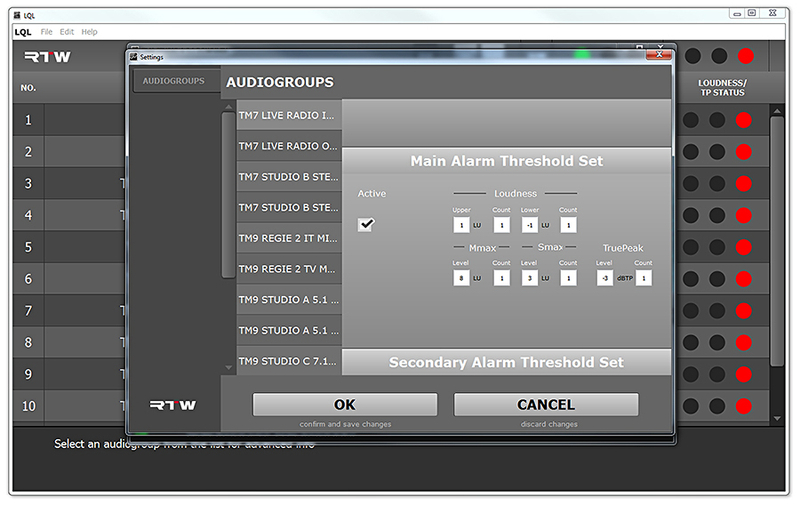 The RTW TouchMonitor range is a high class series of audio monitoring devices used for various broadcasting applications. Part of the functionality of these products is to measure the loudness of incoming audio data. The result of the measurements is visualized for a lot of applications in realtime, but there is also a requirement of logging data over time. 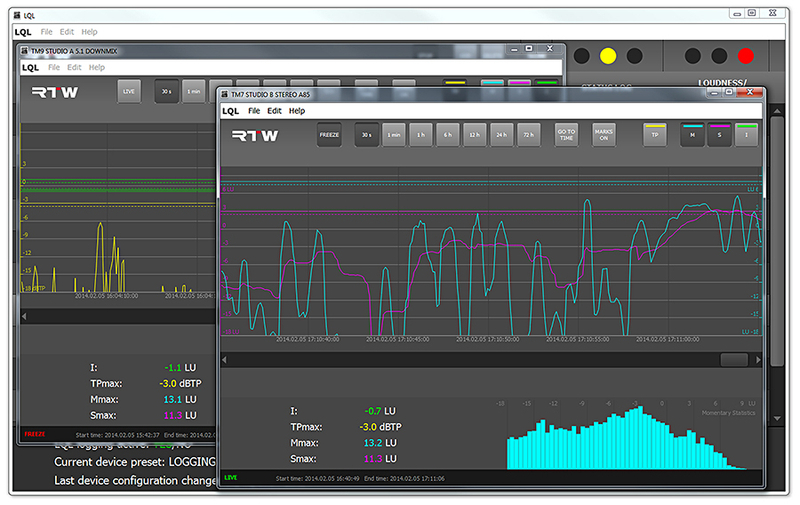 With the LQL - Loudness Quality Logger RTW offers a logging console that collects data from various TouchMonitor devices directly via IP connection or external USB storage devices in order to provide an offline storage capability that goes along with some add on features. 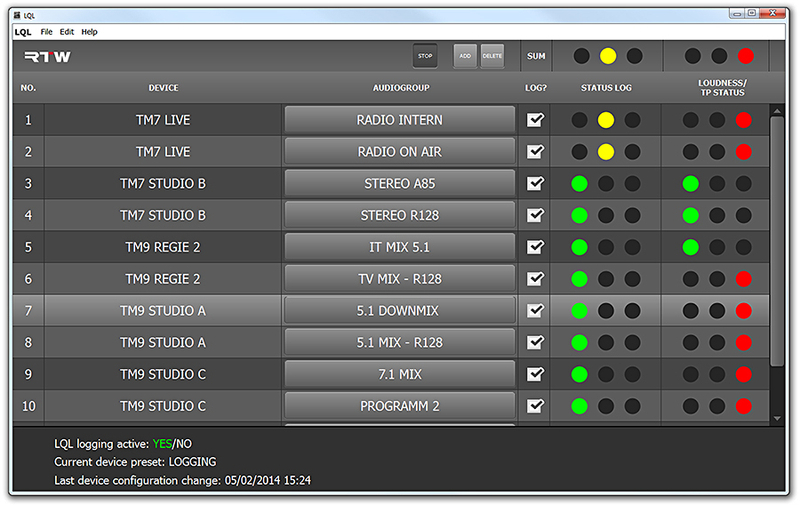 The first version of the Loudness Quality Logger is a program for Windows® OS based PC’s. It provides logging of timecode or realtime based loudness and TruePeak data from TouchMonitor TM7, TMR7, and TM9 series with Loudness licence and Logging Data Server licence option SW20014 activated. 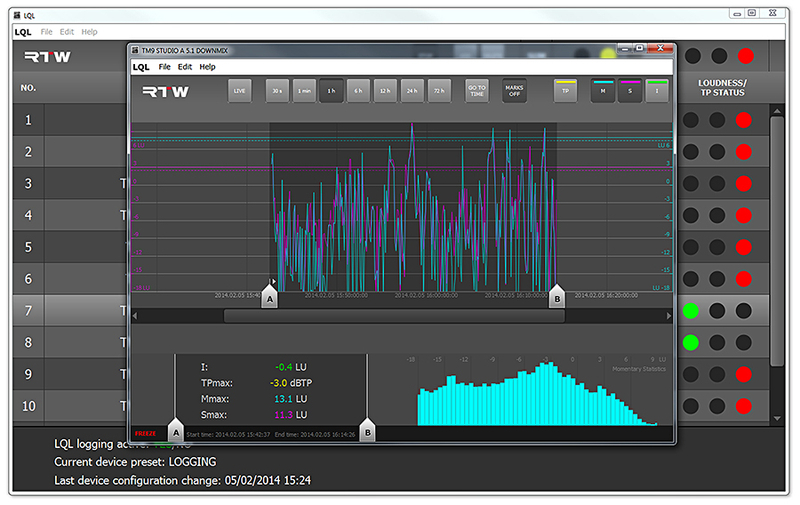 The Logging instrument available with the licence has to run in IP mode. A maximum of two audiogroups per unit can be set to provide data to be collected by the LQL. Main and secondary limits may be applied and can be used to generate various alarms to indicate and to log the exceeding of limits set by legal or in-house regulations for example. All status information of the device is stored with the logged data. 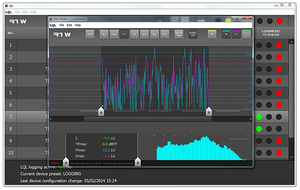 To registered users the LQL – Loudness Quality Logger PC software is available free of charge for download at members area. For connecting data via network, each TouchMonitor requires a Logging Data Server licence SW20014 to be activated. 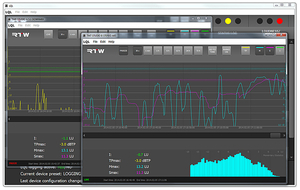 Mainly the LQL – Loudness Quality Logger software consist of a kernel collecting and storing data in the background. A user interface is provided to connect and monitor the devices and for display of aquired data. The user interface itself consists of a main window giving an overview and additionally selectable detail windows. 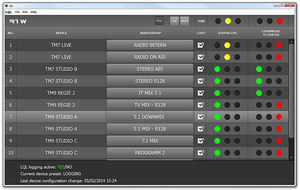 The examples shows the main window in the background, covered from two detail windows with differently selected parameters respectively belonging to one audio group. The rear detail window is freezed, the front one is permanetly drawing values over time (LIVE). 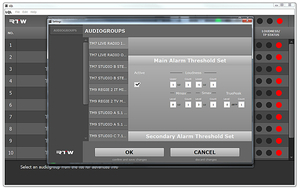 The main window gives an overview about the connected audio devices and their audio groups being enabled to deliver Loudness and TruePeak data. In addition, quality of service for the connection and data is indicated by the colors of the traffic lights. TouchMonitor devices as well as their audio groups need to have biunique names to be able to communicate with LQL. Using the Add dialog, the LQL will access the device with its IP address and indicate it by its name. Data being collected in the background will be calculated and displayed in the detail window as a graph according to the selected values and scaling factor. Two of four values can be displayed in any combination at a time with enabled (Live) or disabled (Freeze) continuously updating graph. In the numerical display section all values are permanently visible. The displayed time stamp on the time line (below the graph) depends on the time settings of the selected TouchMonitor and is also continuously updating. Start and End time of data capture is displayed below the numerical section. A rough estimated point of time can be refined using one of the scaling factors or be jumped to by using the GO TO TIME function. The MARKS ON function allows to place markers in the graph selecting a section that will get a numerical recalculation. In the menu settings of the LQL, the Main Alarm Threshold Set menu is used to set main limits according to legal regulations or the requirements of current loudness standards for example. The alarm thresholds set in LQL represent individual helpful marks, but they don't perform any modifications to the actual audio streams.